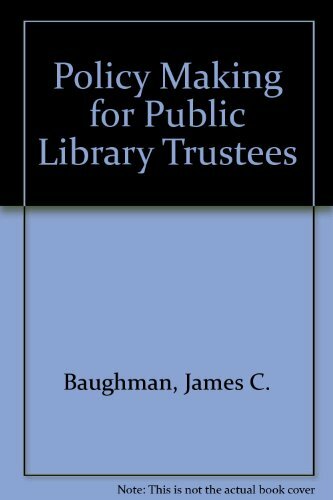 Practical guidance on trustee relationships and duties with respect to library executives, collection development, the law, ethics, and the community. Important reading for anyone involved in running a library. Annotation copyright Book News, Inc. Portland, Or. If you have any questions about this product by Libraries Unltd Inc, contact us by completing and submitting the form below. If you are looking for a specif part number, please include it with your message.